To right is the cover of Monarquia, Democracia Y Orden Natural. Una Vision Austriaca De La Era Americana (2nd Spanish edition of Democracy: The God That Failed), trans. and prologue by Prof. Jeronimo Molina (University of Murcia). It can be ordered by email; see also this link. 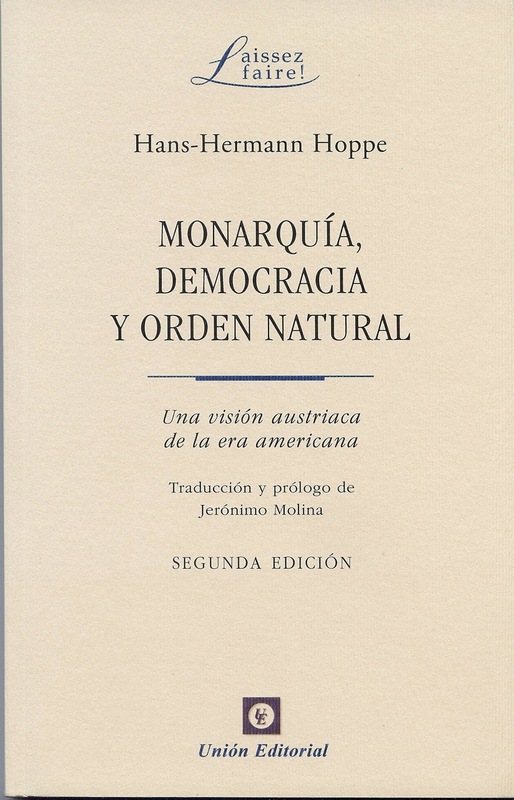 Monarquia, Democracia y Orden Natural, Spanish translation of The Political Economy of Monarchy and Democracy, and the Idea of a Natural Order, Journal of Libertarian Studies Vol. 11 Num. 2. Problemas de la Democracia, La Revista de Libertad Digital, Viernes, 5 de Noviembre de 2004 (also published in Diario de America and Venezuela Analitica); abbreviated Spanish version of Down With Democracy, Enterprise and Education, The Association of Private Enterprise Education Newsletter, Summer 1995. 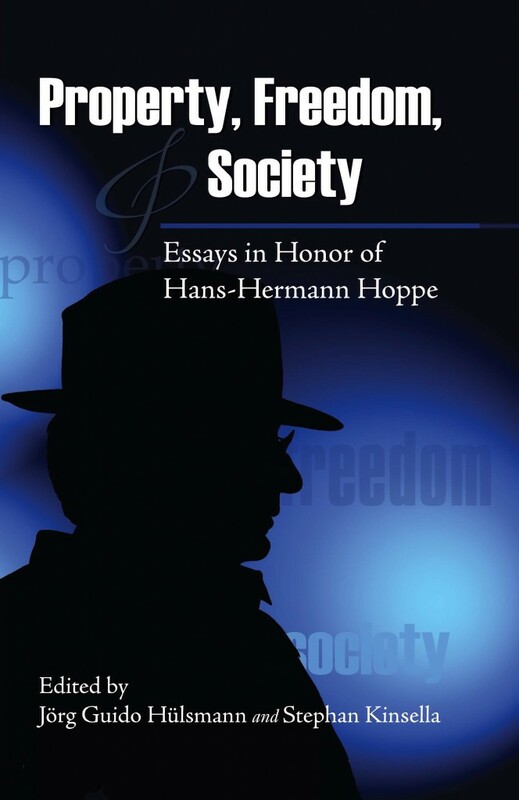 For other Spanish translations of Hoppe’s works, see here.